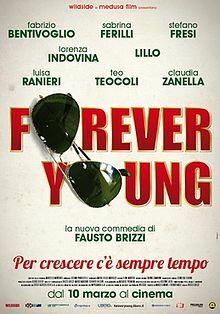 This is the story of a group of “Forever Young” friends, set in present-day Italy. Franco is a pumped-up 70-year-old lawyer, with a passion for Marathon running. His life will change when he becomes a grandfather and discovers that his body is not as indestructible as he thought. Angela, a beautician, has an affair with 20-year-old Luca. Diego, a radio dj, has to face the competition of a younger rival. Giorgio, who is 50 and in a relationship with a very young girl, cheats on her with a woman of his age.